U.S. Marine Cpl. 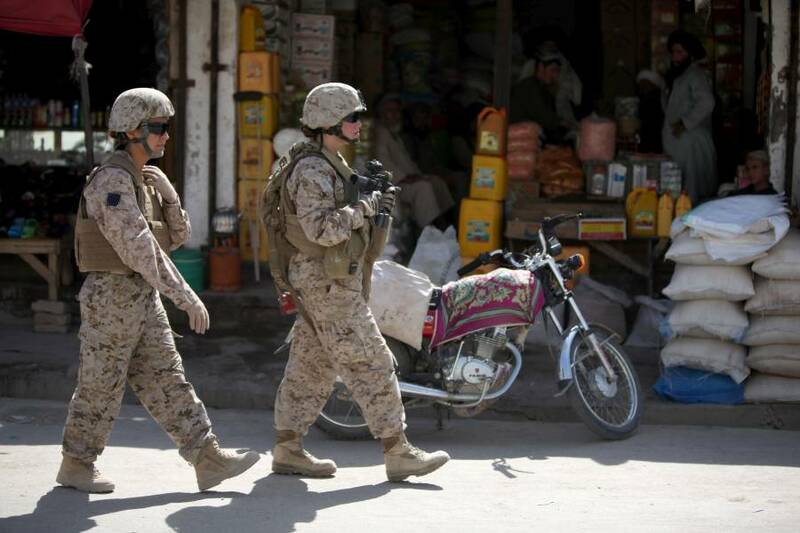 Mary E. Walls (right), an ammunition technician, and linguist Sahar, both with a female engagement team, patrol with 1st Battalion, 2nd Marine Regiment in Musa Qa'leh, Afghanistan, on Aug. 6, 2010. Yesterday Secretary of Defense Ashton Carter broke his promise to weigh the decision on opening combat units to women “based on the analytic underpinnings and the data supporting them” and “rigorous analysis of factual data.” His somber announcement, greeted with no fanfare and the noticeable absence of now head of the Joint Chiefs of Staff Gen. Joe Dunford, will be celebrated by none but ISIS. America can take no pride in the decision that forces active duty women into a very unequal opportunity, subjects all young women to Selective Service obligations and puts all those serving in combat at greater danger and risk. They are set up for no less than failure, increased disability and death by those who completely disregard both women and combat effectiveness in favor of fake diversity that does nothing but weaken us against our enemies. Carter ignored the overwhelming majority of active duty women who don’t want this, as, for example, a 2014 Army survey showed that 92.5% of its enlisted women don’t want to be assigned to combat units. Opponents of women’s exemption would have us believe that almost all military women are sexists against themselves. Not only absurd, it’s insulting to all military women who know how much harder military life is on our bodies and the many additional high risks we face in combat that men don’t. Stellar performance by an unusual few women is irrelevant to establishing a policy with such far-reaching consequences. Once integration begins the military must not only prove it has a few superstars who are willing and able, it must guarantee the steady flow of them. As it is, not nearly enough women are willing and even fewer are able. Regardless, women are now subject to involuntary assignment to combat units just like men. “That’s why they’re called ‘orders.’” as Lt. Gen. Robert Milstead said before the House of Armed Services committee. Secretary Carter ignored the data showing military women — not just average civilians but top athletes — are injured at more than twice the rate of their male counterparts. Would he deploy our military with gear or transport that broke twice as often as the alternative? Would he have us believe more than twice the risk of injury is an equal opportunity for advancement? We have to break hundreds to get one who can make the men’s minimum standards, and they will likely have to be replaced far more frequently. Star athletes who may make men’s minimums are not likely to last long enough to achieve the high ranks and long military careers coveted by the teeny tiny minority who’ve pushed so hard for repeal. Their athleticism will undoubtedly be cut short by the strains of training for and engaging in combat, then to be left with lifelong debilitating injuries. Disabling hundreds of women who might otherwise serve successfully is just the cost of doing business to get the demographic diversity Obama demands. Carter also ignored the critical fact that women are at a disadvantage physically against men in hand-to-hand ground combat, especially men of the savage nature we’re fighting today who are often amped up on methamphetamines, making them much harder to kill. Wars as recent as Iraq and Afghanistan are filled with accounts of our men struggling to kill these drugged-up psychopaths, regularly face-to-face and with their hands, rocks, knives or whatever is at hand when the gun jams or the ammo runs out. Women are also higher value targets for capture and torture to an enemy that treats its own women with brutality that makes us shudder. Obama’s recent refusal (at first) to put “boots on the ground” is precisely why pilots were denied permission to bomb their targets in recent missions in Syria. Infantrymen, in addition to executing offensive combat missions, are the eyes and ears on the ground, ensuring the fewest possible innocent casualties for bomber pilots. No, the need for and the violence of direct ground combat hasn’t changed with technology and is no equal opportunity for women. 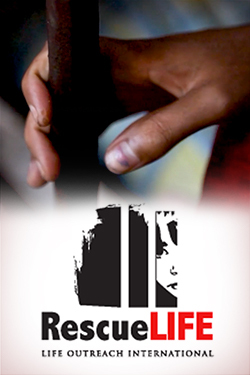 To cast it as such is nothing short of barbaric, but Carter apparently couldn’t care less. Carter ignored the fact that quotas for women in combat were already established by Gen. Martin Dempsey in the announcement of the repeal when he said the branches “must make sure that there are a sufficient number of females entering the career field and already assigned to the related commands and leadership positions.” Active-duty women will be resented as standards are lowered to fulfill these quotas, putting everyone and their missions in severe peril. The secretary also ignored the Marines’ 9-month integration study, which showed that in addition to getting injured more than twice as often, women cannot perform at the level of infantrymen. Marines did their study right and with outside oversight because they knew leftists across America would try to discredit and undermine the results. As I noted previously, all-male units outperformed coed units in 69 percent of the 134 combat tasks. Women were slower, were less accurate shooters, struggled with tasks requiring upper body strength such as climbing over walls and lifting a 200-pound dummy off the field, and retained more than double the injuries of men. If the figure had been even a mere five percent difference it would have been ample reason to maintain women’s exemption, since five percent is easily and frequently the difference between life and death in offensive ground combat. But in fact the figure was 69 percent! Ignoring that makes no sense! It’s catastrophic for the combat arms, but Secretary Carter will not be the one paying the price. He says we must pull from the other 50 percent of society simply because they’re half the population. If representation of general society is the paramount goal, ranks should include the blind, old and obese, an obviously disastrous prospect. The point isn’t that women are as ineffective as the blind in combat, but simply that clearly there are other important criteria than simply casting the net as wide as possible. Carter said, “Always putting the mission and our people first [is what] we will do today.” Hardly. The next president can and should reinstate the exemption in the same administrative way it was repealed, but he or she won’t be able to before much destruction and disruption is inflicted on our military, who this very moment are preparing to engage on the ground in Syria against the Islamic State. God help them. Exactly so. The nation and Armed Forces will be heartbroken when this selfish and stupid new policy delivers defeat and death to our Soldiers and Marines. Well done, Ms Eden. Just heard you on our local talk radio station (KMED – Medford, OR). Inelligently presented reasons for your case.